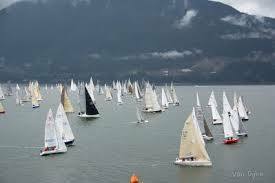 Round Bowen SAILING RACE this Saturday (june 10). So looking forward to it. 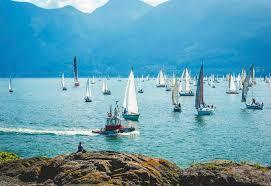 Even if you are not a racing sailor, it is a highly entertaining event here on Bowen Island. Over 100 boats will start (usually in front of the Ferry!!) Saturday morning, and the fleet can be seen in its glorious progress from many Bowen beaches throughout the day. Pretty rowdy in Snug Cove after the race too, with a big party at the marina!